In January Gidea Park parish is hosting an event focusing on the Gospel of Luke – a gospel we will hear proclaimed each Sunday during 2019. 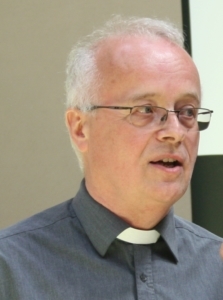 Over two evening workshops on 23rd and 30th January, noted biblical scholar Fr Adrian Graffy will survey the whole of the gospel in order to appreciate this evangelist’s unique presentation of Jesus and of his message. Fr Adrian is parish priest of Gidea Park and taught Sacred Scripture for many years at St John’s Seminary, Wonersh. He is a member of the Pontifical Biblical Commission. There are bus and train links to Gidea Park station, which is three minutes’ walk from the church. Easy access from M25 and Gallows Corner. Ample free parking available.